It’s a Bugs Life- and it could be on its way to Waverley? Asian Hornet Sighting In Guildford – could it be that the Waverley Web has struck! 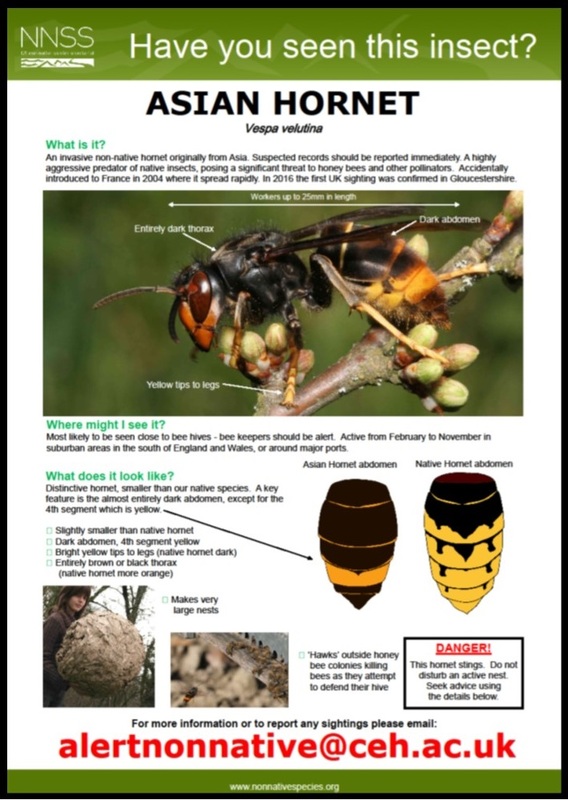 While it is smaller than our native European hornet, it can make very large nests and it also stings, so the public should be very cautious and not disturb the nests but report it straight away. by Hugh Coakley of the amazing Guildford Dragon. As reported last year (Beekeeper’s Notes April ’17; Foreign Invaders from Europe), the fear of an invasion of the Asian hornet is one step closer with a sighting now in Slyfield, Guildford. 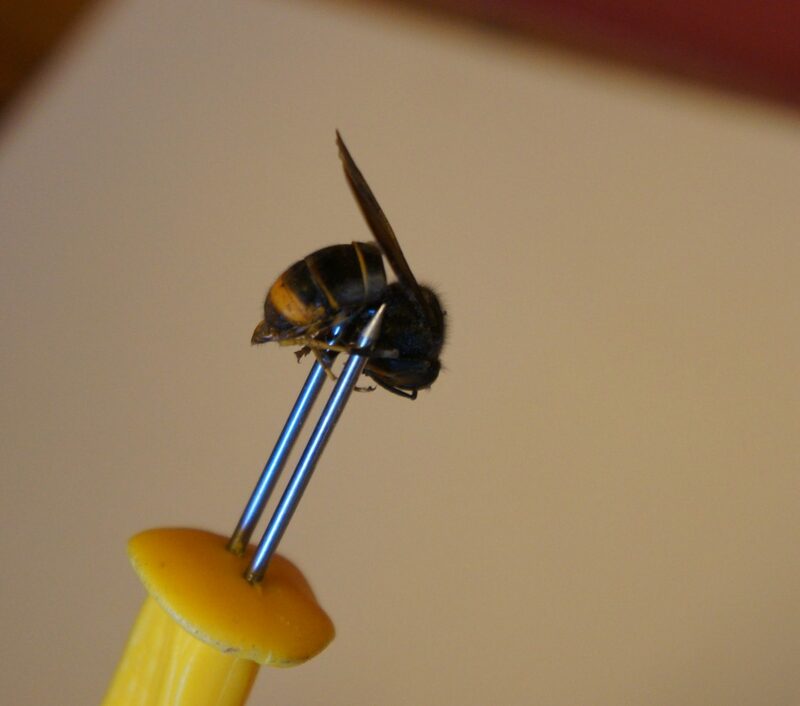 Beekeeper Mark Seabrook, who works in premises on the Slyfield Industrial Estate, was more than surprised to see a dead hornet on the floor and, on closer inspection, for it to be an Asian hornet. Mark said: “It was not something that I expected to ever actually see in Guildford. I keep bees so I do look out for such things but to see it on my workshop floor was a shock. Mark has reported the finding to the DEFRA Non Native Species secretariatand to the Guildford Beekeeper’s Association. Marilynne Bainbridge, who chairs the Guildford branch of the National Beekeepers’ Association, said: “It is very worrying for bees and beekeepers. There have been quite a few sightings now with the closest being in the neighbouring county of Hampshire where four nests were destroyed very recently. The Pest Control News reported last year that there had been a confirmed sighting in North Devon.